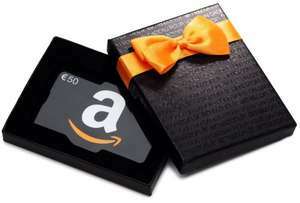 Buy 50 euros or more check (s) -cadeau (x) in the same order between July 21 and August 31, 2015 inclusive, receive a promotional code which you can benefit from 10 euro discount on your next order of 50 euros or more of items sold by Amazon on the amazon.fr website (excluding books, ebooks, electronic cigarettes, infant formula and gift certificates) until 15 October 2015. Does this work? Why so cold? A few Amazon.fr deals do come up so the €50 would get used! Why not buy 50 yourself and get the whole 10 free yourself. I did , I need more. Taiko, how long did it take for the 10euro promo code to be sent to you? Did you have to contact amazon.fr help? PS thanks for reminding me ,i got 2x10 promo codes to use up.